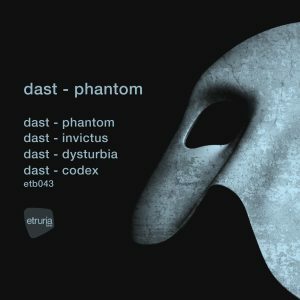 Dast follows up his previous label smash, ‘Haradon’, with a fresh four track selection for Etruria Beat. groove. The energetic INVICTUS follows, powered by its frantic synth and thumping kick. CODEX, with its impetuous chord, treats us to some 90’s inspired rawness.